Want growth for your business? Read and learn. The sales growth leaders appearing on this year’s Printing Impressions 400 are masters of sustained business expansion. Do as they say - and do as they do. Every company that contributes its vital statistics to the annual Printing Impressions 400 ranking deserves a vote of thanks. The roster is a revealing cross-section of the industry’s current composition and a realistic gauge of its financial health; there’s nothing else like it in the graphic arts trade media. The transparency and candor of the companies that volunteer to be listed are what make the Printing Impressions 400 the special document that it is. One of the main reasons the printing industry looks forward to seeing it is the insight it gives into patterns of growth. Listees are asked to divulge annual sales results from their two most recent fiscal years, and to break out their most recent year as percentages of sales based on major market segments served. They are also asked to indicate their present output capabilities based on various printing processes employed. John Falconetti serves as chairman and CEO at Drummond Press. In a preliminary count of the companies responding to the questionnaire for the 34th edition of the Printing Impressions 400, we found that about half reported experiencing year-over-year growth. We then singled out those that grew by at least twice that percentage. Nine of these firms accepted our invitation to share their experiences of fast-track business expansion with the readers of Printing Impressions. They’re a diverse group of sources with their own stories to tell, but one thing stands out as the common driver of their exceptional performance: focus. Their respective focal points may be different, but the discipline with which these fast-track enterprises stay fixed on them is identical across the board. They’re also alike in their conviction that today, growth strategies defined only by sales increases are no longer sustainable: innovation, efficiency, value, 360-degree service and customer loyalty have to be part of the vision as well. Given the ongoing consolidation of the printing industry, it came as no surprise to learn that five of the firms owed some of their year-over-year growth to the acquisition of other businesses (a sixth reported being close to completing a deal). In no case was simple growth for growth’s sake the motivating factor. John Falconetti, chairman and CEO of Drummond Press (ranked No. 163, +26%; Jacksonville, Fla.) says that by aiming for a 50-50 balance of organic and acquisitive expansion, the company has maintained a 20% annual growth rate ever since 2002. But an acquisition, he points out, has to be about “more than just making us big:” it must be one that enables the buyer to grow the seller’s legacy accounts as it expands the overall book of business. From the left, the executive leadership team at Postal Center International includes Stephen Gussman, executive VP; Ismael Diaz, president; Chris Diaz, VP of operations; and Dennis Garcia, CFO. Corresponding organic growth reaffirms that the “secret sauce” of consultative selling, where customer needs are paramount, still resonates in the market, Falconetti adds. What Postal Center International (ranked No. 85, +34%; Fort Lauderdale, Fla.) looks for, according to its president, Ismael Diaz, are “like-minded companies that have a distinctive position within a compelling segment that can vertically integrate with our existing business.” He found these qualities in Original Impressions, a Miami-based firm that PCI purchased in March 2016. The sale formed what Diaz says is now the largest printing, mailing and marketing solutions provider in South Florida. The companies that relied entirely on organic growth pursued that course with the same deliberation as the acquirers displayed in pursuit of theirs. None goes about cultivating organic growth more deliberately than 3A Press (ranked No. 337, +25%; Lajas, Puerto Rico), a packaging specialist that serves Puerto Rico’s concentration of life sciences product manufacturers. Marie A. Rosado, president (front row, far left), and Alex Rosado, VP and GM (front row, far right), stand with their team at 3A Press. It can take as long as three years before the company begins to see orders from the pharmaceutical manufacturers and medical device suppliers once it establishes vendor relationships with them, points out Marie A. Rosado, president. Because the qualification and inspection process is so lengthy, she adds, it’s imperative to preserve “customer intimacy” throughout. Although 3A Press’ plans have been knocked somewhat off kilter by the back-to-back hurricanes that slammed Puerto Rico in September and October, Rosado expects to bring two more of these intimate relationships to term in 2018. Standing in the front row, on the left, Zenger Group owners John Zenger (blue shirt), Joe Zenger (gray sportcoat) and Steve Zenger (blue sportcoat), pose with their staff. Kimberly Lawton Koon, president and fifth-generation owner of Lawton Connect (ranked No. 374, +27%; Orlando, Fla.) doesn’t rule out expanding through acquisition, but she first wants to make certain that the company’s brisk organic pace can be maintained without overinvesting or overhiring. “We want to be very thoughtful with our growth,” she says. Ty Koon, VP, and Kimberly Lawton Koon, president, represent the fifth generation of management at family-owned Lawton Connect. Being thoughtful with growth - a trait that all the fast-trackers share - means rethinking long-held assumptions about managing it. Southeastern (ranked No. 164, +89%; Stuart, Fla.) grew dramatically during its last two fiscal years thanks to a major acquisition and an upsurge in seasonal work. But with an expanded customer base and broader service offerings, notes Chuck Gerardi, director of sales and operations, “the role of the salesperson becomes more complex:” complex enough that extra help is needed. Southeastern provides it by teaming its salespeople with “domain experts” who specialize in the company’s principal lines of business: commercial printing, digital printing, wide-format output, promotional products, e-commerce, and mailing and fulfillment. By bringing their deep experience to a team sales call, Gerardi says, the domain experts help the sales executives strengthen their relationships with existing and new clients of Southeastern. When asked in what segments of their business they expect to see the strongest growth, all of the fast-trackers have ready answers. 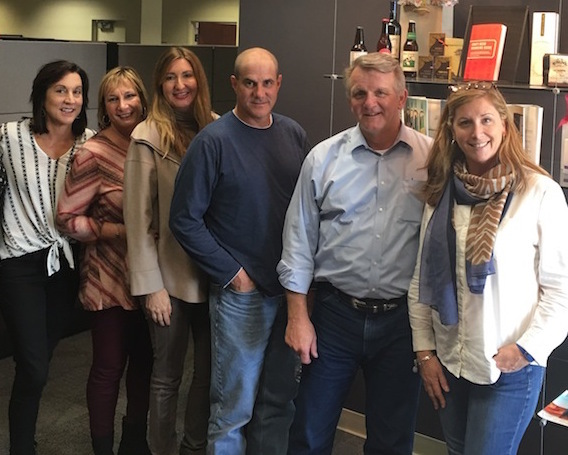 Pictured, from the left, are Southeastern’s strategic sales executives Marty Harris, Lilli Rivera, Anneliese Gelber and Steve Meltzer with Chuck Gerardi, director of sales and operations, and Darcey Thompson, director of marketing. John Hans, CEO of Imagine! (ranked No. 14, +27%; Shakopee, Minn.), believes that despite the pressure that some segments of the retail industry have come under, there’ll be strong demand for the innovative visual materials that his company develops for retail locations, quick-serve restaurants and grocery chains. This arises, according to Hans, from the need of brick and mortar retailers to continue to refine the in-store brand experience. He says Imagine! will continue to focus on creating exciting marketing solutions that help drive traffic, stimulate transactions and increase brand loyalty. At Sterling Digital Print (ranked No. 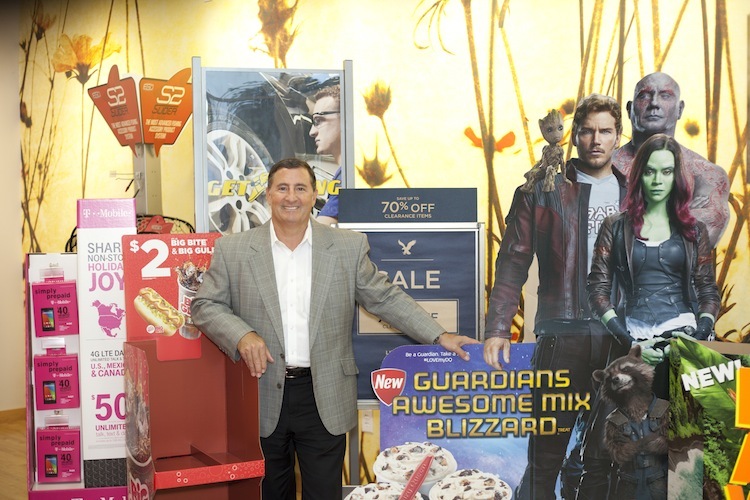 240, +18%; Hauppauge, N.Y.), president and CEO Ed McAllister “can’t keep enough digital printing equipment on the floor” to stay ahead of his customers’ orders for proxy statements, annual reports, prospectuses and the other business documents in which the company specializes. McAllister sees the fact that “people are printing less” as a virtuous cycle because, as quantities decline, the kind of digital printing he does becomes that much more economically attractive. “Clients still want copies,” he observes. John Hans, CEO of Imagine! Print Solutions, displays some of the visual marketing materials that the company creates for the retailing and restaurant sectors. Lance Luka, president and owner of Ignite Graphics (ranked No. 392, +29%; Elmhurst, Ill.), founded the company - his third startup - in 2014 with the goal of making it a $10 million firm within five years. Ignite Graphics is well on its way to achieving the goal. Luka’s growth strategy is to offer his customers “a very big web of services” that includes thriving activity in both direct mail and packaging. To keep the momentum in them going, Ignite Graphics recently installed a $250,000 folder/gluer finishing system with high-speed, in-line inkjetting. Judicious capital investment like this is another fast-track behavior that has served these Printing Impressions 400 growth leaders well. They all reported making significant purchases of equipment within the past two to three years, mostly aimed at building up production capacity in response to increased order intake. Digital presses and wide-format printers were high on their shopping lists. Brand-new at Lawton Connect, for example, is a B2-format device that Lawton Koon predicts will “chew through” the work she intends to put on it. 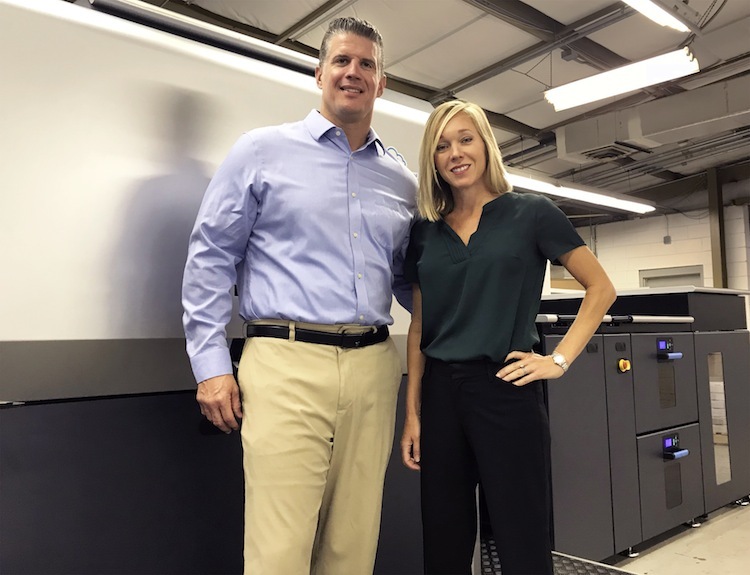 Darcey Thompson, director of marketing for Southeastern, says the company recently bought a high-volume, hybrid LED-UV inkjet printer and is building a 4,200-sq.-ft. space in its Miami location to better accommodate its growing wide-format business. 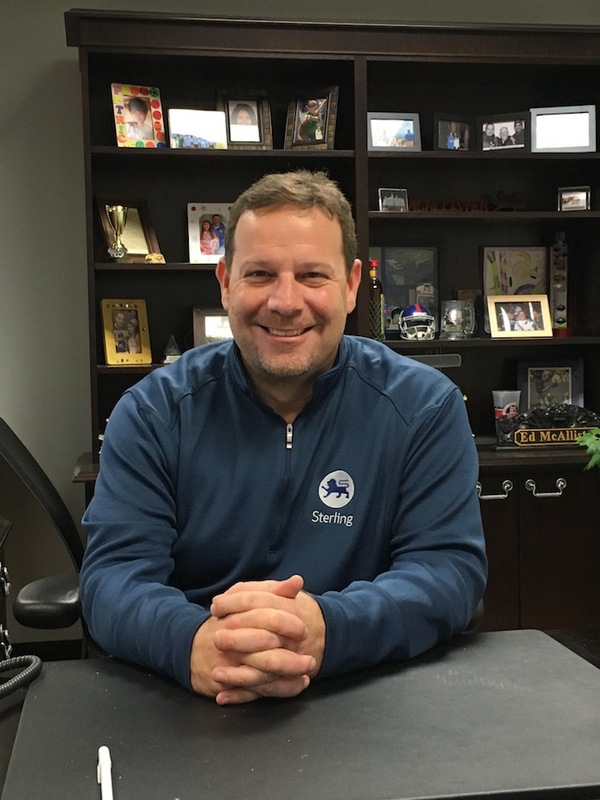 Ed McAllister, president and CEO of Sterling Digital Print, says he “can’t keep enough digital printing equipment on the floor” to stay ahead of his current workload. At Drummond Press, Falconetti has brought in seven toner presses and a wide-format inkjet device that he says can produce, in 38 minutes, a static-cling job that once took 40 hours to complete. Luka says his digital department is “exploding” with the work it gets done on three new digital presses that recently turned out $300,000 worth of work in a single month. The Imagine! toolkit has expanded to include a 22˝-wide color inkjet web press and a new dye-sublimation system for printing on fabrics. Early next year, the company will invest in sheetfed capacity at its plants in Shakopee, Minn., and in Charlotte, N.C. The company isn’t done pushing the innovation envelope: Hans notes that next year, it will become a North American beta test site for the new Landa nanographic inkjet technology that was promoted with much fanfare at drupa 2016. Fast-trackers buy offset lithographic presses too, such as the 41˝ platform that Zenger says has been “transformational” for the Zenger Group. Southeastern, 3A Press and Ignite Graphics also added capacity in offset; there were various investments in postpress and finishing systems as well. It’s worth noting that the spending wasn’t limited to machinery. The growth leaders also recognize how central to profitable operation software for business management has become, and they have budgeted for it accordingly. McAllister, for example, rates a recently adopted MIS package as the most important investment in production technology he has made in the last few years. When Southeastern acquired its Miami location, says Gerardi, a priority was placed on getting them both on the same MIS platform. Falconetti anticipates making an “extraordinary investment” in software that he says will enable first-of-its-kind transparency and accountability in the branded materials supply chain. It will also integrate into key customer systems. Lance Luka founded Ignite Graphics - his third startup - in 2014. 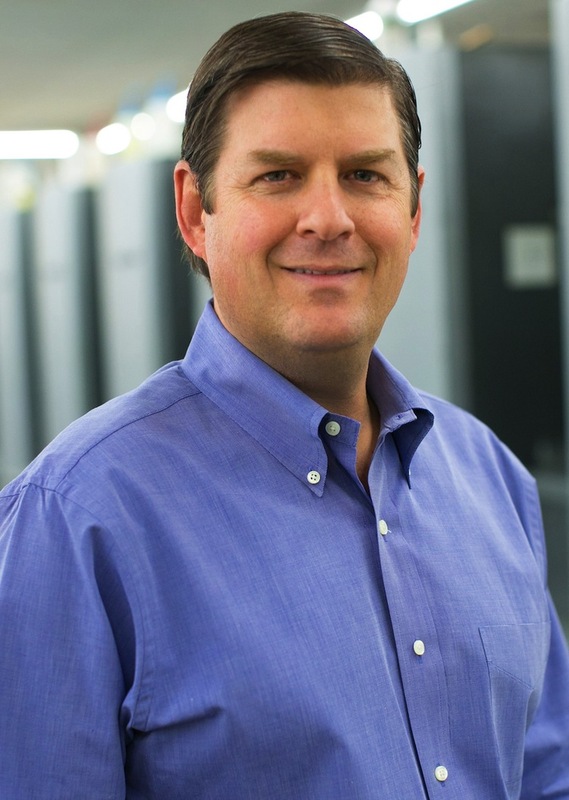 PCI tries to lead its marketplace “by making critical investments in the business to ensure speed, performance, quality and responsiveness,” Diaz says. The chief one among them recently is software-centered: an enterprise-wide resource program for better internal efficiency and improved client communications. The company has also earned SOC2 certification for high-security data management. No company - not even one with an eminent place on the Printing Impressions 400 list - can assume that growth in the past guarantees more of the same in the future. But, the current crop of growth leaders could be excused for feeling that they have more reason than most to be sanguine. This isn’t to say that they lack realism. Certain “old school” printers, Luka contends, “were successful almost despite themselves” in the flush old days when volumes and margins gave greater cover to poor management practices than they do now. 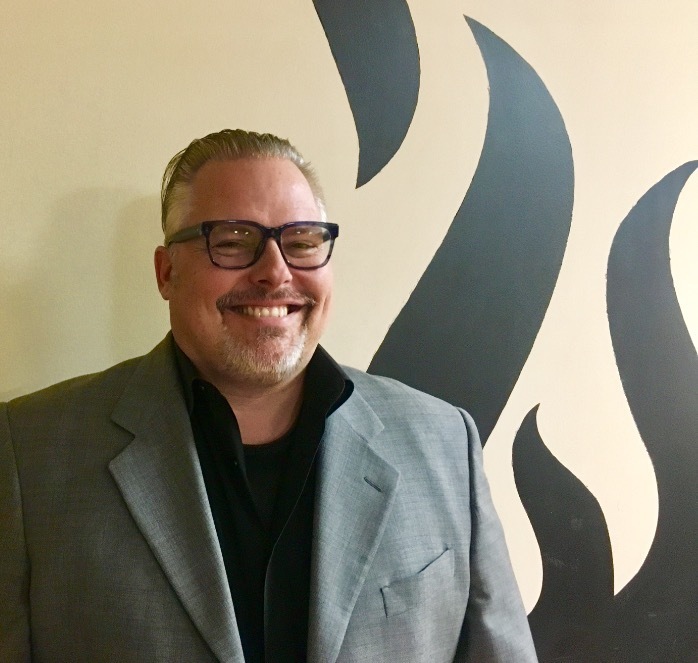 He’s especially critical of excessive borrowing, noting that Ignite Graphics studiously avoids taking on the kind of debt that has sunk other printers during downturns. 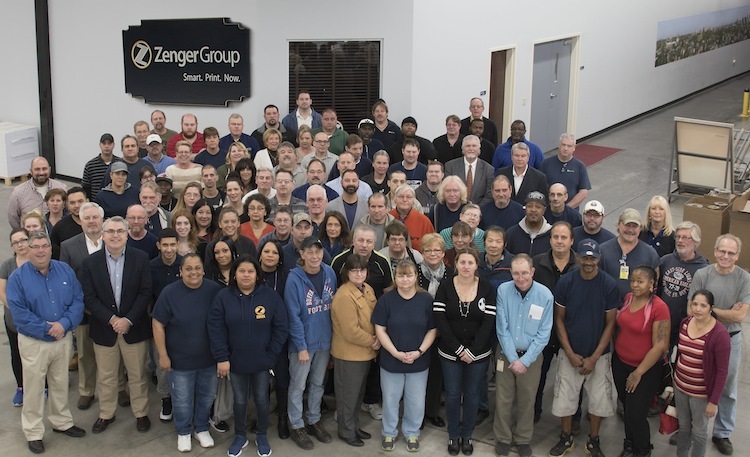 Zenger knows that growing companies must underpin their growth by making sure that they have the personnel to sustain it. People are aging out of the industry, not only in production positions, he observes, but also in key administrative jobs such as estimating and customer service. This is why he engages with his city’s vocational education community to identify the young talent that the Zenger Group will need. “I will bump a more important meeting” to host a tour of the plant for a visiting high school class, he says. For Rosado, realism came in the form of two devastating storms in Puerto Rico that did relatively little damage to her facilities but left many of her customers too badly shaken to resume doing business with her. “We have to hold on tight” until conditions improve and orders pick up again, she says, adding she’s still hopeful that 3A Press will emerge from the crisis stronger than before. Every company on or aspiring to be on the Printing Impressions 400 list can take heart from Lawton Koon’s assertion that “there’s not a better time to be in printing” than the present day. The best way to do that, counsels Diaz, lies in “transitioning from a transaction-focused value strategy to a longer-term, loyalty-based value strategy” that gives customers all the services they want in one place. “These days, if you don’t do it all, you just don’t get the business,” he says. Click here for the 2017 Printing Impressions 400 ranking (Opens as a PDF).